Nick Kroll and John Mulaney to Co-Host the 2017 Film Independent Spirit Awards! Who could resist? Greedily, we tore the package open reveal not one but two of the most talented performers in all of comedy: Nick Kroll and John Mulaney. That’s right: acclaimed funnymen and all-around comedy auteurs Nick Kroll and John Mulaney with join forces to co-host the 2017 Film Independent Spirit Awards, which will air exclusively on IFC Saturday, February 25 at 2:00 pm PT / 5:00 pm ET. YOU KNOW HIM FROM: Being a comedy world mainstay for much of the past decade. Fans of FX’s rotisserie football comedy The League will remember him as the odious Ruxin, while comedy nerds no doubt venerate the 38-year-old native New Yorker’s eponymous Comedy Central sketch program, Kroll Show. 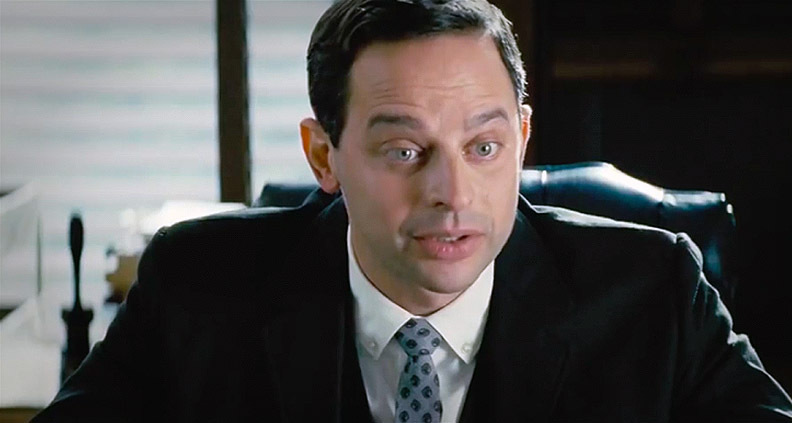 This year Kroll also tested his range as a dramatic actor, playing ACLU lawyer Bernie Cohen in Jeff Nichol’s Spirit Award nominated Loving. YOU WILL KNOW HIM FROM: Voice performances in several upcoming animated movies including Captain Underpants, and as the creator and star of next year’s new animated Netflix sitcom Big Mouth, which co-stars Kroll’s Spirit Awards co-host John Mulaney (as well as Fred Armisen, Mya Rudolph, Jenny Slate, Jordan Peele and plenty more). EVIDENCE SUBMITTED AS PROOF OF AWESOMENESS: Rich Dicks, one of Kroll Show’s many reoccurring shows-within-the-show, wherein Kroll and cast member Jon Daly play a pair of, well, “rich dicks” whose haughty entitlement churns the stomachs of everyone they com into contact with, including that of guest star Aziz Ansari. YOU KNOW HIM FROM: Being a writer on Saturday Night Live, where he worked for six years, creating numerous indelible characters including Bill Hader’s Weekend Update nightlife correspondent “Stefon”. He also starred in two critically acclaimed stand-up specials, New in Town and The Comeback Kid, both of which are available on Netflix. 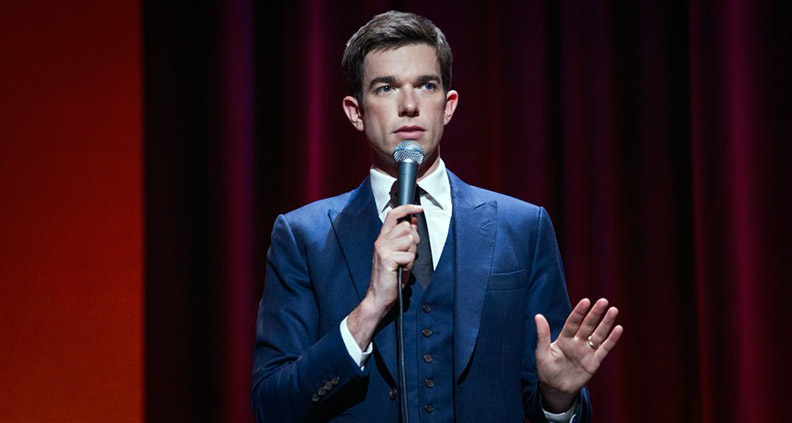 He also created the short-lived NBC sitcom, Mulaney, which ran on NBC from 2014-2015. YOU WILL KNOW HIM FROM: Continuing to work as a writer and producer on IFC’s hit nonfiction parody anthology Documentary Now! (which we’re big, big fans of), and for continued appearances on shows including Hulu’s Difficult People, TV Land’s The Jim Gaffigan Show and as a voice on Kroll’s upcoming Netflix animated show Big Mouth. EVIDENCE SUBMITTED AS PROOF OF AWESOMENESS: This clip from the comedian’s 2015 stand-up special The Comeback Kid, wherein Mulaney skewers the absurdities of HGTV and the trials and tribulations of shopping for a house—a perfect encapsulation of the comic’s deceptively biting ability to marry conversational observations with social commentary. YOU KNOW THEM BOTH FROM: The duo’s recent Broadway hit Oh, Hello Show, which Kroll and Mulaney co-created based on a sketch from the Kroll Show. Starring as Upper West Side weirdoes Gil Faizon (Kroll) and George St. Geegland (Mulaney), the absurdist comedy premiered its limited, 15-week Broadway run last October 10 at the Lyceum Theater in New York. What happens when Bobby Bottleservice and the mind behind Documentary Now!’s cracked monologist Parker Gail team up to celebrate and skewer the past year in independent film? Tune in to the Film Independent Spirit Awards on IFC February 25 at 2:00pm PT and 5:00pm ET to find out. For more information about the Spirit Awards, including a full list of this year’s nominees, just click here. Follow Film Independent on Twitter, Facebook and YouTube for more updates. Not a Member of Film Independent yet? Become one today.